President Emmerson Mnangagwa’s promise to transform the nation by broadening and revitalising its economic opportunities, while ensuring progressive steps are taken towards a democratic future, have consolidated a new era of law-abiding transparency and openness and instilled hope among Zimbabweans and the world. 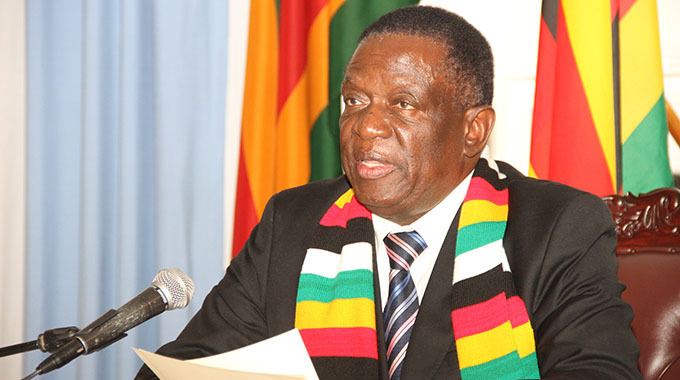 President Mnangagwa is on a mission to reassure investors and Western diplomats that Zimbabwe is a harmonious, convenient and safe place for investment. Following his welcome at the World Economic Forum (WEF) at Davos in January, where the European Union (EU) pledged their support for Zimbabwe’s new dispensation, the President has made his top priorities dear: revive the economy and industry through an enhanced ease of doing business, attract foreign investment and promote human rights. In the past few months, he has, among other things, put into place command models for agriculture, garnered US$300 million worth of investment in Zimbabwe’s mining industry, arranged compensation for those whose land was seized, removed police roadblocks, established a special anti-corruption court, supplied free State medical care for children and the elderly and provided a temporary reduction in fuel prices. He also recently commissioned a South African company to supply hundreds of train wagons and locomotives for US$400 million to the National Railways of Zimbabwe. In an effort to re-engage with the world, President Mnangagwa has cut new deals with Belarus, Russia and China. All of these actions have corroborated his aims and provided the beneficial and positive spin the country needed. On July 30, the country will be hitting the polls and the President is intent on safeguarding a fair and free election. Penresa (P) had the immense privilege to sit down with the President (ED) to discuss his vision, current projects and aspirations for the country. P: At the World Economic Forum in Davos, you stated that Zimbabwe is now open for business. Are you surprised by the number of investors that have come to the country? ED: Since Davos, this country has experienced a huge influx of business people from all over the world. Global companies and world organisations are coming to Zimbabwe to look for business opportunities. I am happy to say that many of them found a place in the various opportunities that exist in our country: in agriculture; in mining infrastructure development, tourism and ICT. These organisations have committed themselves to participate in the revival of our economy. For example, I met the company that is taking over the Masvingo Cold Storage Commission in Davos and they were impressed by my contacts when I talked about opportunities in Zimbabwe. They came and they are going to reopen it by the end of July; providing the money to revamp the systems, as well as investing in livestock. Fortunately, we have a programme – Command Livestock – to attract most of our farmers into going into livestock; we support them with finances, technology and chemicals. Our agriculture, which is the backbone of our economy, is growing and modernising. A few days ago, we had an agriculture expo with companies from India, Brazil and others. There is now state-of-the-art agriculture equipment coming to this country and I can assure you that we will help actualise this vision for modern and mechanised agriculture. Our mining sector is attracting huge investments. Many companies have come; we have one company which is investing in a platinum project worth US$4,2 million and is creating 15 000 jobs. The programme will be finalised by the end of this year, but we are already on the ground. In four years, there will be production, increasing our platinum production by over 30 percent, and further down the line, it may go up to 40 percent. Tourism too is developing and we need more room space in Harare, which means more hotels need to be constructed. As for Victoria Falls, we have declared it a financial service centre. Last week, I opened the Pepsi plant, a US$15 million plant which is creating a lot of jobs. We also have Hwange Thermal Unit 7 and Unit 8 which is attracting investments worth US$1,2 billion. There are so many companies that have expressed interest and are waiting for the results of the election. However, I tell them that there is no need to wait, since nothing will change after the election. Companies must just come in right now and begin operating. China is at present investing in the Hwange One, Kunzvi Dam (US$680 million), the International Airport in Harare (US$200 million), water and sanitation in Harare ($71 million) and the new Government city (US$100 million). India and Belarus are both investing US$98 million. We have signed several agreements with India, from pharmaceuticals to construction of hospitals, and Belarus is investing in gold mining. We realise that we have resources in Zimbabwe. What we must do is to open ourselves and the economy up and make sure we guarantee the safety of global capital in Zimbabwe. People must feel safe coming here, so we must guarantee property rights and the right to repatriate profits and earnings. By 2030, we need to have developed this economy to a middle-income level. P: Thanks to your Command Agriculture programme, you are revitalising and rejuvenating the country’s agricultural past. How is Command Agriculture trying to empower and galvanise the youth to get them back into agriculture? ED: We are in the second phase of the Command Agriculture programme. In the first phase, the new Government did not have the fiscal capacities to finance that kind of agriculture. The milling companies said that they were spending billions of dollars for the importation of grain and food into the country. So, we asked them to reduce the importation of grain this season. The money they were using for that would be given to the Government to pay the farmers for their produce and give them the ingredients for farming, like fuel, chemicals, fertilisers, seeds. We asked the farmers to put the number of hectares they want on the programme, so that we could advise the farmers on how much seed and how much fuel and fertilisers they need for a certain amount of land in that specific region. In this way, there is no need for farmers to go to town and negotiate a loan with the bank anymore. We even advise them on when to plant and what to do. The programme has been a success, but we have only focused on the bigger farms, now we need to bring the youths and smaller farms on board. P: How is your administration engaging with the Diaspora to reinvest? ED: The biggest contingent of Diaspora Zimbabweans is in South Africa. Then, of course, we have some in the UK, in America, in Canada, in Australia. The South African Diaspora contingent has so far invested $400 million in the railways. The others are coming in for housing, there is a group working now on 400 000 houses. We are still debating on the mechanism of the funding, but we want to have a programme to build those houses. P: Why is now the best time to invest in Zimbabwe? ED: I believe we have the qualities and the environment in which this country can be a jewel again. I am making Zimbabwe very democratic in terms of its politics. After this dispensation, I opened politics up so much that we have now got 133 parties with 23 candidates who are running for President. It speaks volumes about the situation. I am saying we want a new Zimbabwe. We must build the Zimbabwe that we want. 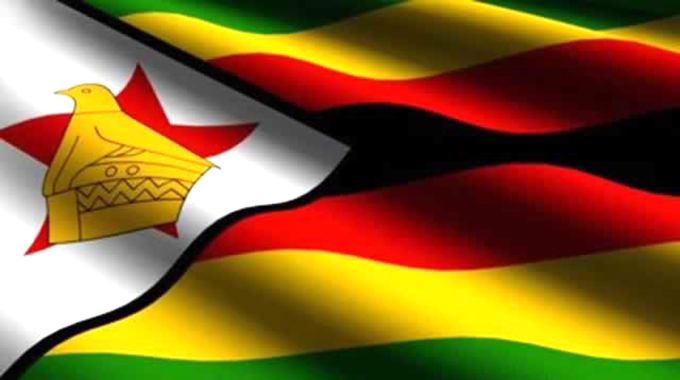 Whether it is a Zimbabwe in which you want to live and invest and in three years you have an apartment, a car, a spouse, or a Zimbabwe with a middle-income with the possibility of a holiday after three years of work. Let us be united and peaceful, but let us be honest: hard work is the only key to achieve that vision; that is what I preach. This interview, which was done ahead of the 2018 harmonised elections, is reproduced from Forbes Africa magazine.